History is a very important thing. It helps us know where we came from and where we’re going. It helps us understand why some things are designed the way they are, or how other things evolved into the common practice or standards of today. The history of the Spiral is no different. It really helps to know how the Spiral became what it is and get a glimpse into the Armada and the varying lands that exist there. Historically speaking Pirates have been around since the ancient times of Rome and Greece. They have existed all around the globe in every part of the world. Piracy really got going during the Middle Ages in the 15th century A.D. with pirates like William Kyd and John Mixtow, William Aleyn and Clays Stephen, acted under virtual immunity from the law for over two decades while under the protection of corrupt custom officials. 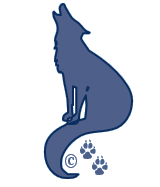 The age of the English Sea Dogs and Dutch Corsairs began around 1560 and lasted nearly 100 years till 1650. Here the Pirates were heroes to one country and pirates to another. Sir Andrew Barton Served under a Scottish letter of marque, but was described a pirate by English and Portuguese. Nathaniel Butler, had a comparatively unsuccessful career as a privateer, but Butler was later colonial governor of Bermuda. And one of the most infamous pirates in this category, Sir Francis Drake. Known as “el Draque” (the Dragon), he was considered a hero in England, but was labeled a pirate in Spain. True Sea Dogs were men like Thomas Cavendish, who was the first man to intentionally circumnavigate the globe. Cavendish took the opportunity to raid numerous Spanish towns and ships in the New World. Peter Love who was an English pirate, setting up base in the Outer Hebrides and was active around Ireland and Scotland. He was betrayed by the outlaw Neil MacLeod and executed in 1610 for piracy. The Age of the Buccaneers arose around 1650 to 1690. During this time infamous pirates such as John Ansell who sailed with Henry Morgan and participated in the raids against Maracaibo and Gibraltar, in Venezuela were prominent. But even during this time, the lines between pirate and hero are blurred. Lancelot Blackburne was an English clergyman, who became Archbishop of York, and – in popular belief – was a successful pirate. John Cooke (Cook)an English buccaneer led an expedition against the Spanish in the early 1680s that highly benefited his home land and the continuing conflict between Span and England. William Dampier was the first person to circumnavigate the world three times. But he did so by financing his journey through piracy. The Golden Age of Piracy didn’t start until 1690 and only lasted about 40 years to 1730. Here we find some of the most infamous pirates of the pirating world. Black Caesar was a captured slave who turned pirate. He was a well-known pirate active off the Florida Keys during the early 18th century. Caesar may not have gained his status as famous pirate if it were not for his infamous Captain. Black Caesar acted as a lieutenant to Blackbeard and was one of five Africans serving on his flagship. Blackbeard (Edward Teach) was known for his fearsome appearance. But his actions helped to spawn that fear as well. Blackbeard is often credited with the creation of the stereotypical image of a pirate. 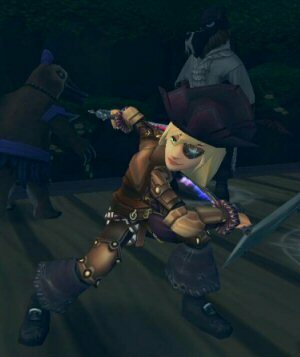 This is the time of the most famous female pirate as well. 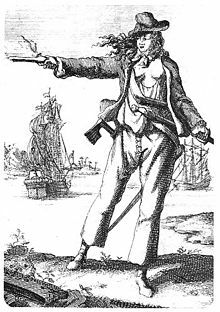 Despite never commanding a ship herself, Anne Bonny is remembered as one of few female historical pirates. You can learn much more about the Pirates of the Past at Wikipedia. Many of their tails of adventure are very interesting and even entertaining.